If interested in one of our puppies please answer the questions below. This will help us decide if one of our puppies would be a perfect fit with your family. Please answer the following questions, tell me a little about yourself and why you want a boxer in the space below. 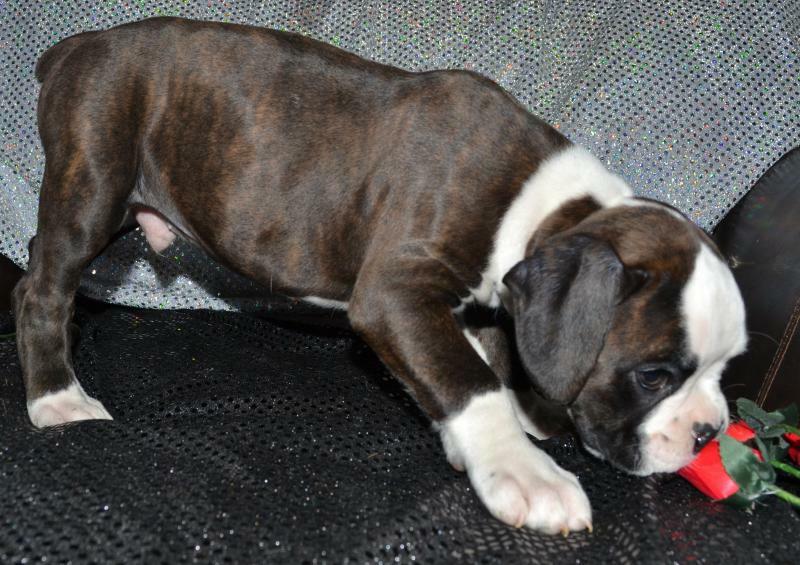 This will help us determine if one of our puppies will be the perfect fit for you and your family. 1) Have you ever owned a boxer before? 3) Do you have color preference? Fawn, Brindle, etc? 4) Do you own any other animals at this time? 5) Do you have children? If so what ages? 6) Do you own your home or rent? 7) How long would a puppy be left alone during the day while you are at work? 8) Do you have a fenced in yard? 9) Will the puppy be mostly indoors?